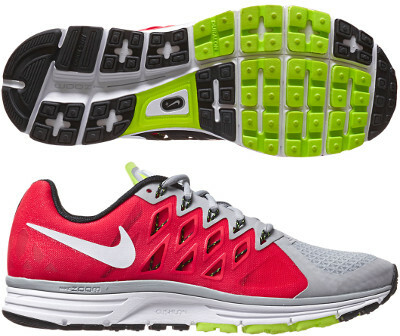 Nike Zoom Vomero 9 are neutral cushioned running shoes. The Air Zoom Vomero 9 is the cushioned premium shoe for neutral runners from Nike. Provides a lot of cushioning and superior materials in order to justify high prices. Major update from its predecessor the Zoom Vomero 8 is the new light multilayer mesh used in the upper to feature as much breathability as possible and also covers FlyWire elements responsible to wrap midfoot for a better fit. This version is plenty of cushioning thanks to decoupled Zoom Air components available in both forefoot and heel and outsole still uses durable BRS 1000 on high impact zones and Duralon on the forefoot providing good traction and acceptable lifetime.